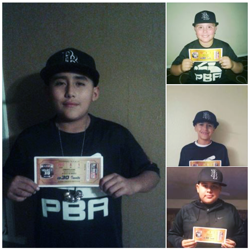 Congratulations to Anthony Banuelos ,Micah Ayala, Danny Rubio and Lenny Dominguez for getting a invite to participate in the USSSA Select 30 Top Prospect showcase in Florida. Congratulations boys! Keep it up!